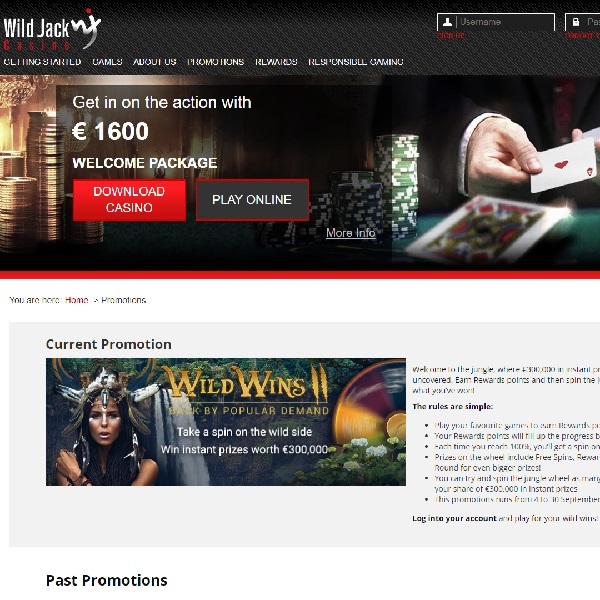 Wild Jack Casino is running a Wild Wins promotion and you could win a share of instant prizes worth €300,000. All you have to do is play your favourite games to earn Reward points. The points will fill up the progress bar and each time it reaches 100% you will get a spin on the Jungle Wheel. The wheel can then reward you with prizes such as free spins, extra reward points or a bonus round for even bigger prizes. There is no limit on how many times you can spin the wheel between now and the end of the month so the more you play the more rewards you’ll earn. Head over to Wild Jack Casino today and start playing your favourite games, before you know it you are sure to have enough points to set the Jungle Wheel in motion.